Download a PDF of a pamphlet on repatriation. Download a PDF of questions that can be used to interview someone about repatriation. 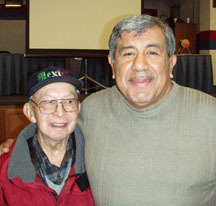 Mr. Lopez (left), a repatiate from Detroit.